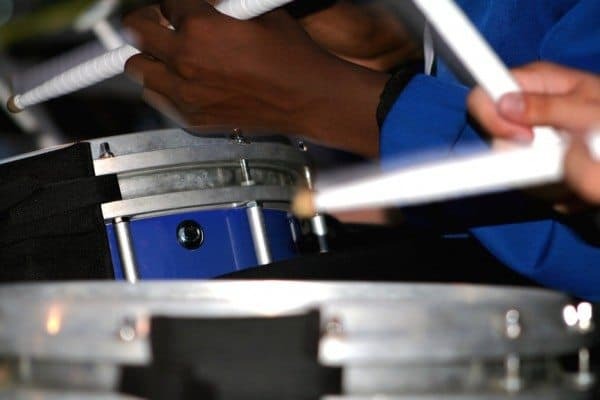 Maybe you or your readers can help…how do you evaluate if a school has a good band program? I have a 7th grade trumpeter. We are thinking of moving to another state. She loves band, and I want to make sure she continues to have a great band experience. Any insight? Here in Texas we have UIL and I know other states have similar programs. Should I look to see the schools that win the most of those contests? I don’t know if this is the best indicator. Any insight you can give would be most appreciated. I don’t claim to be an expert, Maria, but I do think there are several pertinent areas to examine when trying to determine whether or not a band program is a good one. The same director who talks about raising good citizens tells the kids they’re a family, over and over. In fact, this year he declared their “theme” to be relationships, and the kids have been encouraged to view socializing together as important as rehearsal time together. This is the sort of thing you have to both talk to people about directly and just sort of suss out around the edges. Are the band kids generally good students? Is the group pretty cohesive? Are there “stars” and “favorites” or is everyone important? Do they look out for each other? Do they respect the director and are they proud to be part of the group? Did I mention that marching band should be fun? It should be fun. Doing the same thing over and over isn’t as much fun as doing new things. Again, ask around for some history—is the show similar every year? Do they experiment with different genres and different formations? As much as most teens love marching arrangements of pop music, seeing your kid learn to appreciate jazz or Latin music or anything outside of their comfort zone, really, is amazing. Variety keeps them learning and keeps them engaged. I would also say that competitions have their place in the marching band experience, but less for the trophies and more for the “let’s go show off our hard work” aspect of it. Do you want them to be competing every weekend? I’d say no. But one to three competitions during the season? Yeah, that’s probably going to be great motivation and some fun experiences. Winning is nice, of course, but it’s not necessary. What are the numbers of freshmen, sophomores, juniors, and seniors in the band? A “top-heavy” band—with many more upperclassmen than younger students—may have experienced some changes which have resulted in poor recruitment or desire of incoming students to join, and could indicate a problem. Similarly, a “bottom-heavy” band—with tons of younger students but poor retention—can indicate problems, as well. Typically a solid band will have some drop-off in the upper grades—due to jobs, college prep, changing interests—but will still be fairly evenly distributed throughout the grades. If all else fails (or if you still have questions)… go to a football game and watch the band. Are they having fun in the stands? Are they having a good time on the field? You’ll be able to tell. Talk to some of the parents, too. I’ve found parents are very quick to praise the good directors and share their misgivings about the not-so-good ones. Good luck, Maria, and I hope you’re able to find a great program for your daughter! Marching band rocks! That’s so awesome that you found a good marching band! I totally agree with you about work-life balance-it seems that the director of the ‘overworked’ band needs to get some guidance about how productivity falls off once the peak amount of time is reached. This is the kind of story I love, and the kind of story that’s common among band kids. My kids struggle with a lot of things but band is always a bright spot in their lives. I never tire of hearing about marching band! So much good advice here Mir. I love what you said about family. That is a big part of band at our school. The kids feel like band is a second home, so it’s important to be a happy one. My daughter’s band doesn’t do the full competitive marching thing, and I’m grateful. Her practice schedule is very light compared to the other high schools in our area, and it works for her because she carries a huge academic load. Thank you so much for your support of this great endeavor! I am a band director and it makes me smile every time you write about how much your kids enjoy it. It is a wonderful thing to do, and it sounds like your kids have a great director. Slightly off topic question…. Neither my husband nor I ever got into playing an instrument. Our son is in pre-k and if we want him to start playing, what is an ideal age to start him? If your son wants to start a musical instrument, see if you can get him into piano lessons. The music theory will be great later and give him a good foundation for later instruments. Good points, Brittany. I am assuming a regular-competition band would be a much bigger time commitment, but maybe it’s not really (maybe there’s fewer rehearsals?). Don’t let that be a deal-breaker, for sure. Bad band director = has thrown a music stand in a fit of temper. People in my school really didn’t like him much. Love the marching band! My kid, in a mid-Atlantic state, has practice from 3-5 M-Th, football on Friday, 5 weekend TOBs, and a Homecoming parade. She loves every minute of it, and is learning great time management skills, as she takes a super intense academic load. Our band has a very high percentage of Honors students, as well. Lots of contests aren’t a bad thing if the band is well-run. Those competitions were the most fun part of band for me–all day with my marching family, hanging out with everyone on the bus and in the stands, getting to see what all the other bands were doing, etc. If anything, I wish we could have skipped the football games.